Led by AGU, the Center will provide resources at the organization and individual levels, including free legal consultations. Washington — AGU today announced the launch of the AGU Ethics and Equity Center (the Center). The Center aims to tackle the issues of bias, harassment, and discrimination in science by fostering safe work environments and working to ensuring that researchers, students, and institutions have access to leading practices and tools to address harassment and achieve inclusive excellence. AGU was one of the first scientific societies to recognize sexual harassment as scientific misconduct—akin to plagiarism and falsification of data—that harms the individual and the entire scientific enterprise. In addition to providing access to a wealth of professional ethics-related resources, a key unique feature of the Center is to provide access to consultation with a legal advisor, available to AGU members and members of partner organizations, their students, postdocs, and untenured faculty members experiencing harassment, bullying, discrimination, retaliation or other misconduct. This service will empower individuals to make informed decisions with confidence, educate individuals about formal and informal and internal and external remedies, promote effective communication, and offer guidance in charting a successful course forward. AGU is marking its Centennial in 2019, and the Center was developed as a cornerstone program of that celebration. 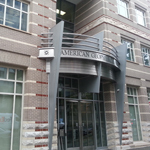 Led by AGU, the Center benefits greatly from partnerships with the National Center for Professional & Research Ethics, the American Geosciences Institute, the Association for Women Geoscientists, the Carnegie Institution for Science, the Earth Science Women’s Network, the Ecological Society of America, the Geological Society of America, and the International Association for Promoting Geoethics. The ongoing strategic direction of the Center will be overseen by an advisory group of ethics experts and experienced leaders from across scientific disciplines and sectors. AGU is dedicated to advancing the Earth and space sciences for the benefit of humanity through its scholarly publications, conferences, and outreach programs. AGU is a not-for-profit, professional, scientific organization representing nearly 60,000 members in 135 countries. Join the conversation on Facebook, Twitter, YouTube, and our other social media channels.